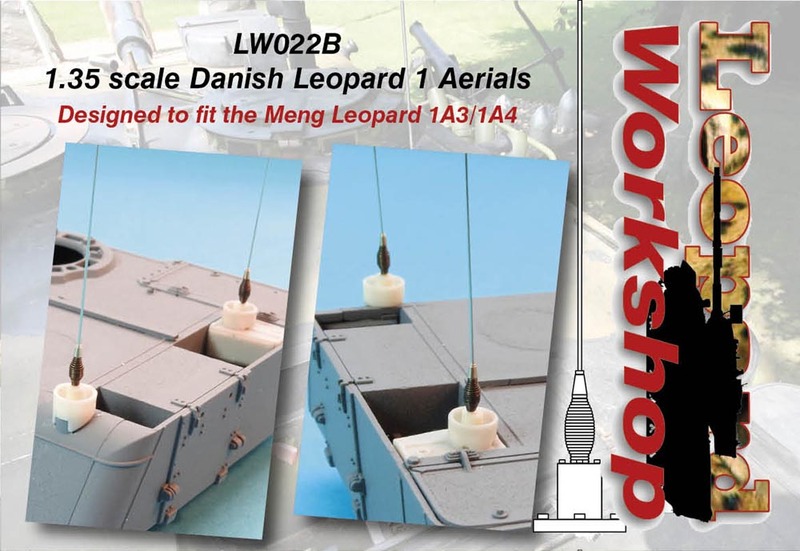 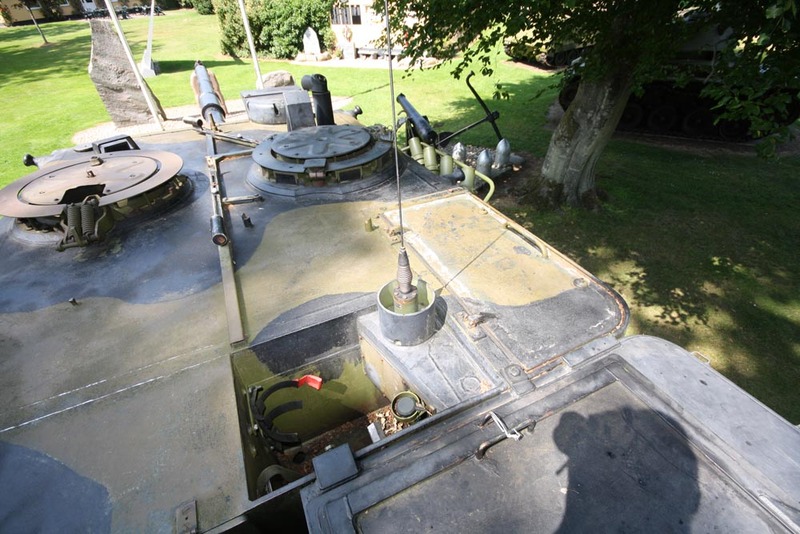 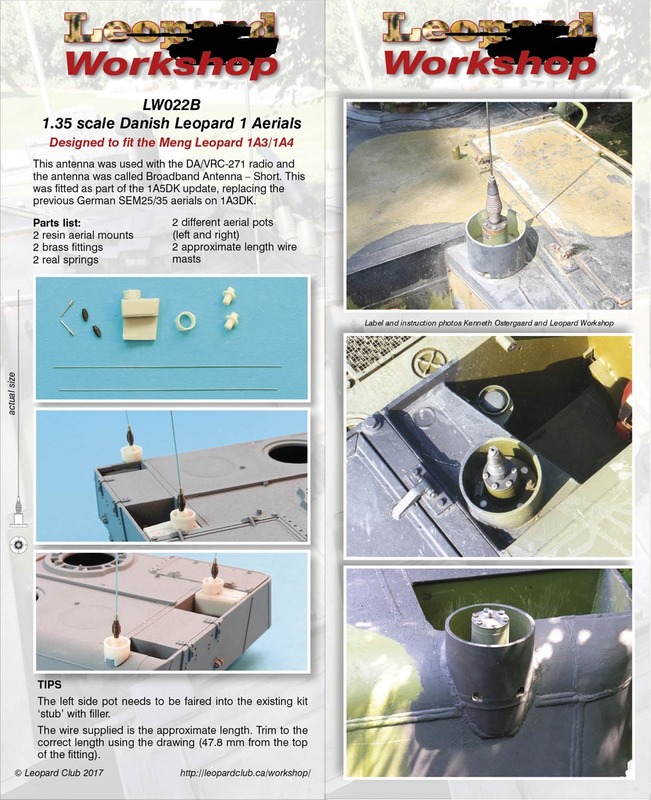 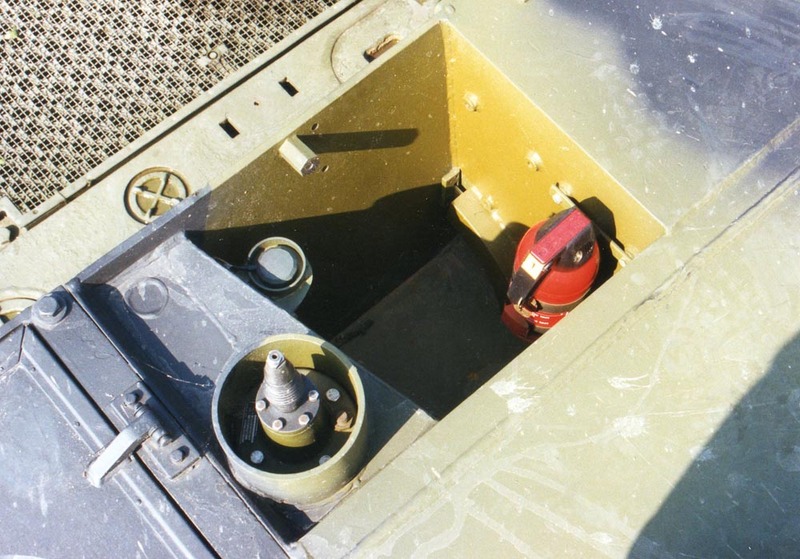 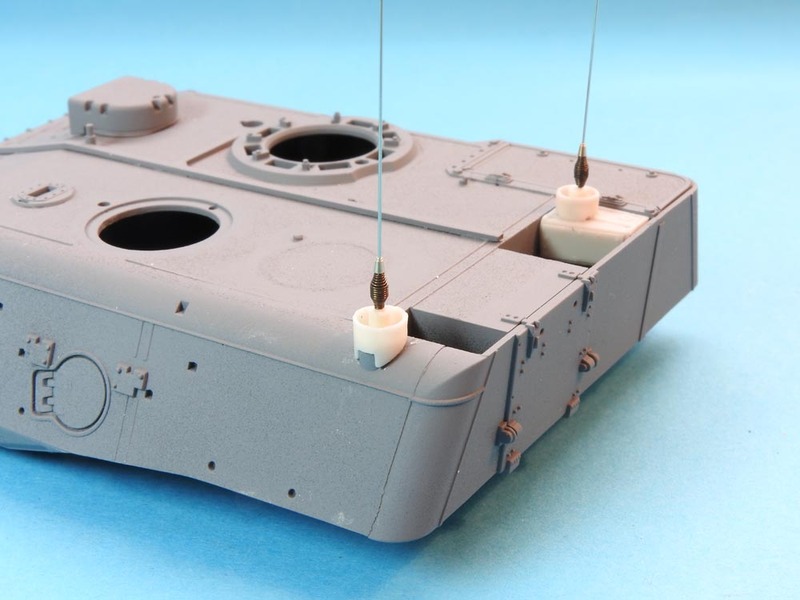 Designed to fit the Meng Leopard 1A3/1A4. 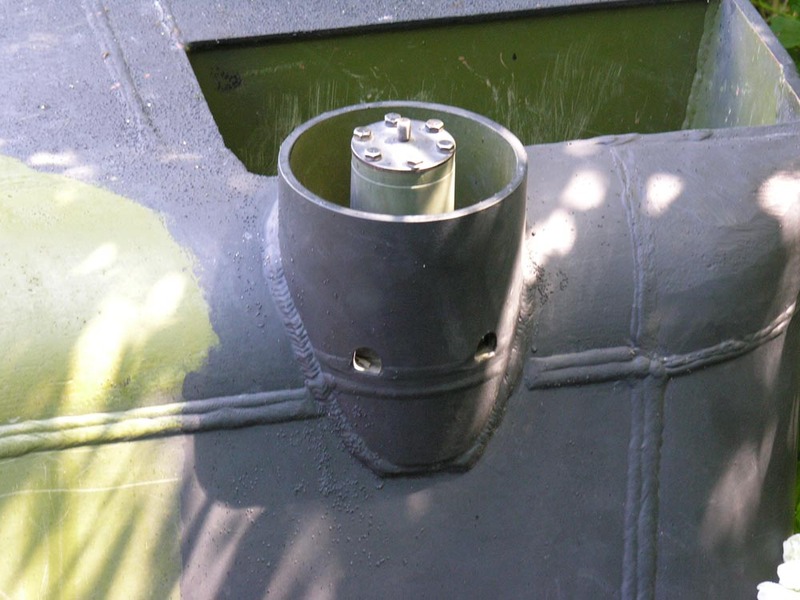 The left side pot needs to be faired into the existing kit 'stub' with filler. 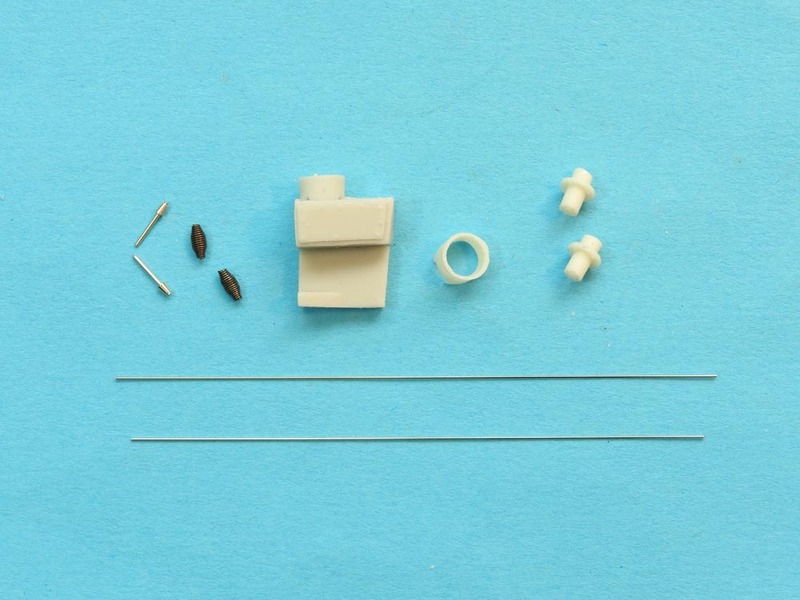 The wire supplied is the approximate length. 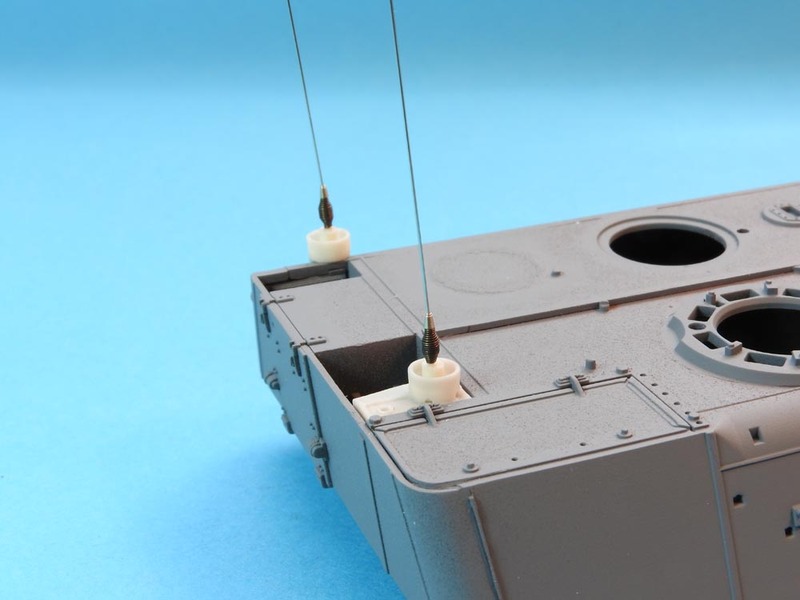 Trim to the correct length using the drawing (47.8 mm from the top of the fitting).